How do you put a price on your Dream? Is it worth one month’s salary? Is it worth one year’s salary? Is it worth your child’s college savings account? Is it worth all your retirement money? Is it worth losing a limb? Is it worth dying for? What is the right price for a dream? Where did my money come from… From hard work, an incredible amount of risk, and many sacrifices that my family and I had to make. Do we have the right to decide what to do with this hard-earned money? I would think so! Does this mean that I’m selfish and do not care about all the suffering that goes on in the world? Well, I must say that you need to get to know me better and decide for yourself. However, I would like to share a few thoughts with you. How do you decide how to spend your money or effort when it comes down to making a change? A Big Change! Let’s say you want to cure cancer. Do you go buy medicine for the cancer patients? Do you create support centers for the patients? Do you give it to a university doing research? Do you create a prize for cancer research? Do you create scholarship funds for medical students who will do specific research on cancer? Do you go find the biggest cause of cancer and try to lobby to destroy the cause? As you can see there are many ways to tackle a problem. What you choose is up to you. The impact could be local and small and help a few in the short term — or it could be cause for a long-term epidemic change in cancer cases and prevention. Personally, I almost always focus on long-term fundamental activities that address the root causes of a problem. I may not feed hungry children, not because I don’t care, but because feeding 100, or 1000, or 100,000 does not solve the problem. Many of the hunger problems occur because of drought and bad farming practices. Did you know that space research helps figure out changes in soil conditions and environment and ways of preventing crop damage? Space scientists may be microbiologists, engineers, nutritionists, chemists, plant pathologists or other field specialists who work together to find ways of growing better crops here on Earth and in orbit, to produce renewable raw material for industries here on Earth as well as for use in remote moons and planets, and to find ways to save and protect our environment. I’m hoping I will inspire more and more people to go to these fields to find ways to keep crops from getting destroyed and better ways to grow crops so people will not go hungry. You may also argue that hunger happens because of war. I would agree with that. I also think many people go hungry not because there is a lack of food or help from other countries but because of the lack of honest and effective systems to get the food in the hands of those hungry children. The only way we can change this is through education of our youth to become free thinkers. To be people of high moral standards in their own consciousness not based on standards set by others, and to use their imagination to bring about radical change when they see that change is needed. This is also a message that I’m trying to send to the world. I support organizations like X Prize and Ashoka Foundation because they are not about making a difference in a small community. These organizations are about Changing the World and making it a better place to live for everyone. What is the price of a dream…? For me, it is putting my life and my money where my mouth is. I’m guessing this is in response to some critisism that you’ve encountered recently? It’s your dream, it’s your money, and ultimately your decision. I’m a premed student in California, and I found your life story very motivational. Being a “starving” premed student, and working odd jobs to pay tuition isn’t a desirable way to live. But I doubt you started your life being wealthy immediately. No, it took hard work, dedication and like you said, sacrifice. I support your journey, and in a little more than 3 days, the critisism you might be getting will leave your thoughts, and you will be looking down on Earth, down on the people, and you’ll realize how arbitrary everything is. Everything but “you”, your beliefs, and your dreams. vaghean be onvane ye ironi eftekhar mikonam ke shomaro darim. migan to on bala to on sokote mahz ,khoda ro kheli behter mishe did. az tarafe hame ironi ha behesh salam kon. barash dast tekon bede. midonam vaghti bagardi mitoni in comment ro bekhoni , vali vaghti bargadi khelisaret shologhe. omid varam hamishe movafagh bashi. be rast weblog nevis hay irani man ham migam , man be webloget sar zadam to ham aghe biyaee khoshal misham. با سلام خدمت شما خانم انصاری.اگه این پیقام من رو خوندین بهم جواب بدین لطفا .اگه جواب بدین بقدری خوشحال میشم که شما در حال شنیدن شماره معکوس پرتاب بودین. This is masoud from north of Iran(Rasht), I have 2 aquestion. 1- Would you raise up iran flag on the earth? 2- How can we have connection with you after your flight? Anousheh Jan, I wish u a very safe and happy voyage with a prosperous Experience…. May Our Merciful, Our Lord, the God of Wisdom be with u! person as you and your Family. You support many organizations for the good of Americia and Iran and I am very proud to say THIS IS YOUR DREAM and go for it. God Bless and take a lot of pictures and come home safe.Debbie Joons sister Patricia. I think it depends on you, only yourself. Of course, after you have made this decision you are not only a one person, you are realy a country it’s name is Iran. You must pay attention to this fact and be aware about your future responsibility in this field. A guy from ((Fasa)) hope that you will be safe in ((Faza))! as a Iranian aerospace student i am very proud of you and your action! specialy when i saw our holy Iranian flag on your arm on one of your pictures regarding to that you are American resident. i deeply love you and will pray for you in my ”namaz” to have a safe and cheerfull journey to space. Please when you are going to take off from Ground say Ya Fatima al zahra! she will help you as well. Your story is an inspiration to all who strive for a better life here and now. You are pursuing something that is so rare, something on a dreamers level, and I say do it with indulgence. You don’t owe the world Anousha. You are not obliged to stop tasting the fruits of your labor because someone else has put a moral cloud over your head. In fact, by you taking this trip you will show children that dreams have a possibility to be real. Enjoy your life, you owe no one. It is worth all one’s life. it’s like putting the price on love. it’s impossible. go and have a nice trip and have fun. Hi Anousheh! I know that you don’t know who I am, but I know you. Debbie is my great aunt….I am so excited that you are getting to go to space. Aunt Debbie has told me so much about you. This is really cool to tell my friends at school about. I hope that everything goes well and that you have a safe flight. I hope that all of your other dreams come true, just like this one has. I hope you have a nice time at the station. I’ll look forward to your first blog from space. Congradulation! I dont know how to express my happiness about this historic event in Iranian History! This travel was my dream too. I was drawing hundreds of pictures of space crafts when I was child. The time that you got to travel to the US, I was about 9 years old, a boy with lots of dreams in mind experiencing the shortages of facilites and magazines in Kermanshah, the shortages caused by of the damn war between Iran and Iraq. Although I have followed my another dream so far, I am very happy that an Ansari got the success. I like you to have a look at my message about you in the weblog Shefa. I think dreams are priceless and costly. Yours is born of deep desire and passion and is simply astonishing! You really move and inspire me! Having been lucky enough to spend time with you in Cairo at the Ashoka Regional Selection Panel in January of this year, I never heard you mention yourself or your dream. And yet in February, you were in Cosmonaut training! This tells me that you have a tremendous ability to listen to others, to care about their dreams and to invest your time, talent and treasure in making them happen. May you have the ride of your life and return home safely to spread the good news of possibility and social entrepreneurship around the world. Dear Anousheh, I wouldn’t know where to start to tell you how much I value and admire what you are doing, I’ve read about your life and achievements and it’s really amazing how you think and what you’ve done. I feel so thankful that there’s people like you on this planet who can see things the way you do and not only think but DO this things, if it wasn’t for people like you I would really feel so alone!! Yesterday I had a phone conversation with one of the agents at Space Adventures (Kimmer Franz) to talk about a suborbital flight for myself. I’m very excited about it…! I’m a singer-songwriter, born in Argentina (half Italian , half Spanish) and moved to Los Angeles 15 years ago. I’m also about to finish my private pilot license, I love flying (I fly into Mojave very often), I too love reading about science, astronomy, physics, genetics, biology and space exploration. Besides music which I love with all my heart, there are two other things that since I was a child I believed in and one is exactly what you are working so hard for, space travel for everybody. I’ve always new I would go to space in my lifetime, I didn’t expect it to be so soon! (and of course I believe one day we’ll travel at the speed of light too, not for another few years though..), the other thing I’ve always believed in is “curing aging”, I’m sure the aging process can and will be slowed down, stopped or even reversed one day. On my spare time I help translating to Spanish these websites about bio-genetics by Aubrey De Grey, have you heard about him and his project? He is the main person of the genetics department at Cambridge University UK, a genius, he is the man with the most brilliant mind I’ve ever met. Having the visionary mind that you have I’m sure you would love to read his papers. I’m going to Arizona to one of his conferences in a few days at ALCOR (Life Extension Foundation) alcor.org, they have a very interesting project using cryonics, maybe you know all about this, I wouldn’t be surprised, and I’m here all excited telling you as if I’ve had just discovered America. You got sooo far making your dreams a reality that now there’s no limit to what you can do or invest on, create new prizes, etc. So I feel the responsibility of telling you about this staff that I think is as important as everything you believe in and I have the feeling you would be interested in it too.. I wish one day I could meet you and work by your side. Well I’m sure you have lots of things to think of right now, I can’t imagine your feelings being so close to your flight, I’m sure it’s not quite like what I feel right before taking off with my little one engine airplane.. I thank you with all my passion for what you are doing for the world, giving so much to the growth of our race, such and interesting race, curious, and capable of anything, I feel amazed by ourselves everyday, and you are contributing to one of the most important first steps of something so huge! I mainly want to thank you and wish you good luck, enjoy every second of it!! Maybe I’ll meet you when I do my flight, or hopefully before! Drop me a line if you can..
Well actually you are fulfilling the dream of many of us, specially women. I have always loved to be able to one day go to the space and I am really concerned about hunger and poverty. But if I had the opportunity like yours, I would take it, too. You are making Iranian women very proud by being such an accomplished person. Have a greattttt safe trip and promise to write all about your experiences when you come back. Is this really your weblog? if it is so, I wish you my best wishes and hope you can write your weblog while you are at the sky. Looks like you read or heard something about someone’s views on your flight that has upset you. As everyone else has said, you don’t need to justify your actions to anyone. This is your dream and you are so, so, lucky to be in a position to realise it. As you’ve said yourself, and I admire your candour, it’s not just about writing a big check, you are risking your neck here. It’s one thing to take financial or reputational risks in the course of business, it’s something altogether different to risk your future, your family’s future and ultimately your own life. May those who criticise what they may see as extravagence or self indulgence reflect upon the immense courage you are demonstrating to realise your own dream and to open the door for others to achieve their dreams in the future. Looks like you were up very late making that posting – hope it wasn’t because you couldn’t sleep. Anyone who is able to live their dream will attract critics. It’s mostly driven by jealousy. Please pay no attention, enjoy the next couple of days, and keep focused on Monday morning. I hope i don’t come across as being too harsh but my point of view is no one was born to solve the worlds problems! We do what we can, when we can. It really burns me up when anyone decides they are the authority on how others should spend their money. We all have dreams. Indeed the vast majority of us go through life trying to achieve those dreams. Some of us just happened to have bigger ( and maybe more expensive ) dreams than other. It’s not a sin! I say GO FOR IT girl, and don’t look back!. And to those people who may be critical of what you are doing ( i.e how you are spending you money ), i would really like to know what they were doing while you were working yourself crazy to make it so you could pursue your dreams. 🙂 Have a safe flight. Hopefully there will be a live feed and we can all watch the launch. You don’t have to justify your actions, true, but Iam gald you express yourself and your intentions. It is not only the excitement, the joy, the fame, … but a step towards realising a dream. Your determination and cause is a pride for us, Iranians, It is a pride for Americans, but I would much rather hear it is a pride for us human beings who appreciate any step by anyone towards a better world for all. You will be remembered not because of the excitment of your journey, but because of your goals. We respect you all. Safe Journey. Just wanted to wish you a safe and sucessful trip. I knew you when it all started and I know how hard you have worked to accomplish your dream… and therefore you deserve every moment of it!!! Enjoy your journey and come back to us and share all your precious moments with everybody that wants to hear it. I am very proud of you and by the way “Happy Birthday”!!!! Have a fantastic flight and enjoy the amazing views from the ISS. We look forward to your safe return to Earth. I’m really enjoying reading your blog. It is fascinating to know that you are writing this yourself and that these are the thoughts and feelings of someone who is about to be launched into space. When you do your update today, could you please share with us how you feel right now with just a couple of days until you go up. You’ve said you are very excited about realising your lifetime dream, but what other emotions do you feel. Is it a stressful situation, or do you feel calm and relaxed ? Are you nervous or worried, maybe even scared ? I think most people would expect to feel apprehensive in your situation, but what’s it like when you’re watching them getting the Soyuz ready, knowing that very soon you’ll be sitting on top of it ? Looking forward to reading more in the days ahead. Could you please update your blog while you are in space? I have been following your success and achievements. It is definitely admirable. I immigrated from Iran almost the same time you did. Maybe, I can say I understand overcoming the obstacles in a different land and culture. I admire your bravery and vision. You live up to what you believe in and your vision is far ahead of your era. You are an inspiration. Thank you so much for showing us there are so many paths towards solving a problem. I am often troubled by the “us versus them” mentality some people seem to have when offering solutions. I like thinking that it could require all wholesome choices to be explored, in order to bring harmony and indeed, life, to all people. Keep up the great work, I think you’re showing us exactly why you’re getting to do what you are doing! What is the price of not following a dream? I too have always dreamed of going into space and it continues to be a life long dream that I continue to persue. Had you ask me before the X-prize was won if that was a dream I would ever be able to realise, my answer would have unfortunately been “probably not”. But thanks to so many people like, that answer has changed to, “Most likely”. For that I say Thank You!!! I would also suggest that maybe the right question isn’t “How do you put a price on your Dream?”, but instead shoul be “What is the price you would pay by not persuing your dreams?” Yes by choosing to take this ride you are putting your life on the line, but if you were to make any other choice but to follow your dreams it would be a 100% chance that you would be giving up who you are and what makes life worth living. So wave to all of us while you are up there (I will be somewhere down there in Pennsylvania waving up to you), and thanks to so many people like you I hope to one day be up there waving back to you. Have a great trip!! Even here, in the Black Hills of South Dakota, we have heard of your historic mission! Just wanted you to know we’re thinking about you, wishing you well, and are so happy that you’ve made this happen. Truth be told, I can’t get on an airplane without the shakes, so I especially admire your pursuit of this journey. :o) Nic, the girls, and I are thinking of you. Safe journey. The Gods Bless. I had a dream of being in space in my childhood too but as i’m getting older it’s getting disapear! By reading your blog i decided to keep my dreams! no matter how they would seem. Feeling so good when i read your blog and know that still there are lots of peole on earth that they really care about our lovely EARTH. I hope to experience what you’re going to experience once in my life and yes, i would pay alot for it too. wishing you very good and safe time with your childhood dream. God Bless You. Come home safe. We need you. Maria, you are quite an accomplished and Visionary woman. I am proud of you and happy to know you. Thank you for the information. I will check it out. Glad to see you can make the journey, your experience will no doubt open the doors for others. I plan on watching ISS pass overhead next Tuesday at dawn–there’s a great place to watch here in Frisco, right between an old steam locomotive on display and the sadly-empty Beall Aerospace rocket factory. Fitting, somehow. First, I wish to convey my respect and admiration for your accomplishments… such a classic “American” success story! To emigrate to a new land and culture and seize the opportunities within your grasp to climb to the top of the heap; enough in itself for any human to accomplish with understandable pride. But instead of simply treading water in the high pool, you are using the resources you have generated for something even more notewothy: raising the bar in the”human high jump”! To harbor a personal dream and see it come to fruition, whether it’s cornering the orange juice market or becoming a pro football starter, is wonderful to be sure. But it’s a “local” event .. a ripple in a bathtub. But to use one’s hard-earned resources to generate a tsunami of thought and activity that entices others to blow down the walls of limitation and expand the scope of human endeavor is a rare occurrance. Few have created the opportunity; far fewer have used it in this way. And you’re still young and vital enough to be able to continue to inspire upward and outward. Thank you for being the person we need right here / right now. My sincere good wishes for your flight in a couple of days … may it bring you all the joy you have worked so hard to experience. This highly visable event will do so much to generate a new generation of dreams, and hopefully draw out the talent and strength that lies quietly waiting for the spark. You are an inspiration to millions of talented, smart, and unfortunately under-represented Iranian women. 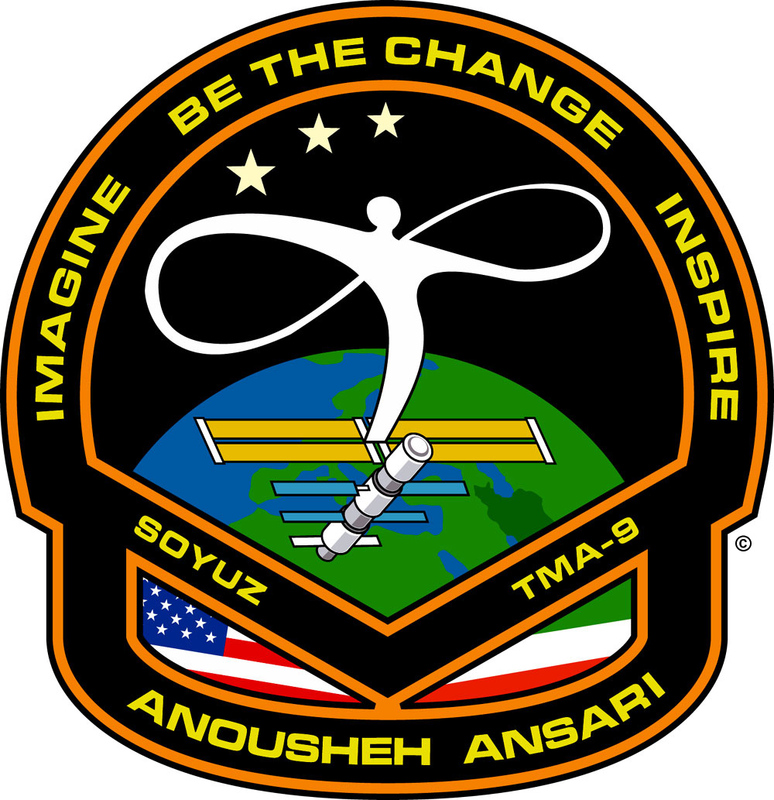 You are the ambassador for over 35 million Iranian women on this powerful symbolic trip to space. Additionally, you have accomplished what hundreds of politicians from US & Iran have not been able to do in the last 28 years to narrow the gap between these two great nations. The powerful symbolic gesture of having both Iran & US flags will never be forgotten. As you know, we Iranians have a very long term memories. I teach in a university in Iran, and I can see how my female students have become so motivated & excited after I printed out and distributed the news of your upcoming trip to space, and also the inspirational story of your life. I wish you & your fellow cosmonauts a safe flight & an exciting journey into space, and please remember that you are always a daughter of Iran, the land of Saadi, Hafez & Moulavi (Roomi), with 3000 years of history. t shirt for my personal use only, I appreciate maybe you dont wish to announce this publicly in case someone is going to make money out of it, but I would be pleased if you let me know what you think. Of course I acknowledge your right on this and feel free to say NO if you wish to do so. Ignore any jealous comments you hear from people who think it’s their right to tell you what to do with your money. This is your dream – go for it! Live it for all of us who once had this dream and could not see it come to life. Live it for yourself, live it for all the young women everywhere. I have nothing special to tell but I think what you’re doing needs a brave heart.It must be interesting watching the earth from above.It would be an hounor for me that you except me as your friend as we have similarity in studying electerical engineering and you can be a great help in my life.if there is no problem I want to have your E-mail ID. I support what you are doing Anousheh and I absolutely agree with you about dealing with problems at the roots instead of just trying to deal with consiquences. The important thing is you are paving path to the bright future. when you are up there playing amongst the stars, know that we too are with you, all the women, all the iranians we are very proud of you. i wish i were u.i’ll try to be a woman like u.i know it is a hard work but,if a woman can do that i’ll do too.i hope to see ur more success.send u more positive energy. Truly inspiring…given your background. You have achieved much in a short time. Brilliant – Congratulations and good luck !!! I wish you a safe and joyous journey. – You do whay you want with your money! Thats your business, not those who are envious of you. All I can say is, You go girl!!! You only live once, go for it. Being brought up in Switzerland, with English and Turkish parents, I am glad it is a half an Iranian half American lady doing. – it helps build bridges in this world. Something our wold needs right now, and I am prould of you.